FME Male to Mini UHF Female. Adapter piece for joining components of cell phone signal booster kits. Must Purchase a minimum of 2! Allows you to use Wilson Cellular phone adapter cables with Mini UHF antennas. Similar to RF Industries RFE-6152. FME Male to Mini UHF Male. 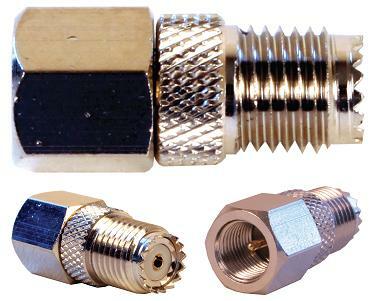 Adapter piece for joining components of cell phone signal booster kits.